The Kumbhalgarh Safari Camp is another special hotel collection providing 25 luxurious tented cottages for those who love extra touch of excellent hospitality services in India. The hotel only but depicts space and luxury and this is why tourists and residents in the state love to meet, dine, eat, get entertained and stay here. It is one of the best hotels in Rajasthan and all the rooms are elegantly furnished with the most modern facilities to provide guests the best accommodation needs and comfortable stay as desired. Front Desk, Disabled Facilities, Airport Transportation, Banquet Facilities, Family/Child Friendly, Travel Counter, Parking, Wedding Services, Internet/Wi-Fi, Restaurant. Daily Room Cleaning, H/C Water, Refrigerator Room, Curtains/Shades, Voicemail, Television Room, Complimentary Toiletries, Desk, Iron/Ironing Board, Moisturiser. 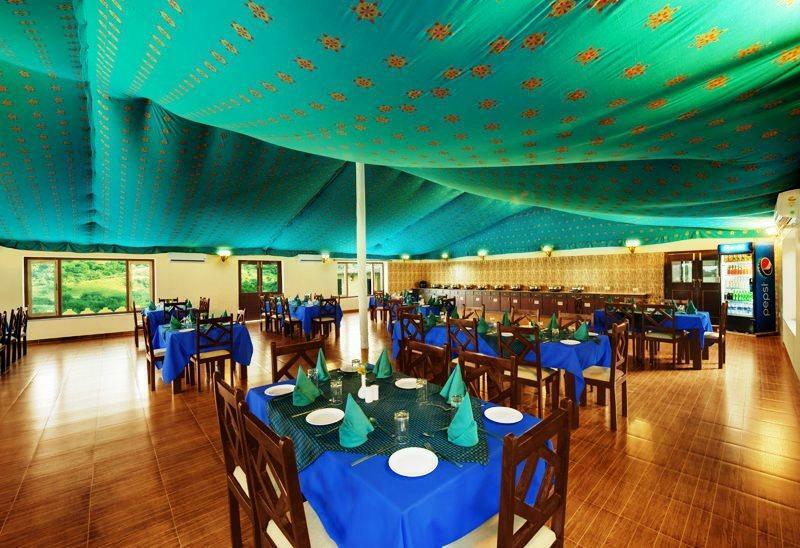 Banquet Facilities, Breakfast Services, Doctor on Call, Laundry Facilities, Parking, Restaurant, Room Service. User reviews for "Kumbhalgarh Safari Camp Udaipur"